Marley Bedford, 5, was born with a rare form of terminal dwarfism called rhizomelic chondrodysplasia punctata, or 'rhizo.' Eighty percent of children born with this condition will not make it beyond their first year, but Marley has made it to five. Marley travels with her family to San Antonio to be trained on a device that will allow Marley to read as she eventually goes blind, a result of RCDP. An assistive device will help Marley read, even as she loses her sight. Marley was still a little suspicious. She hates going to the doctor as much as any kid. But, Marley’s not like a lot of other kids. She’s living with an extremely rare form of dwarfism known as Rhizomelic Chondrodysplasia Punctata, or RCDP. The condition is causing Marley to lose her vision. 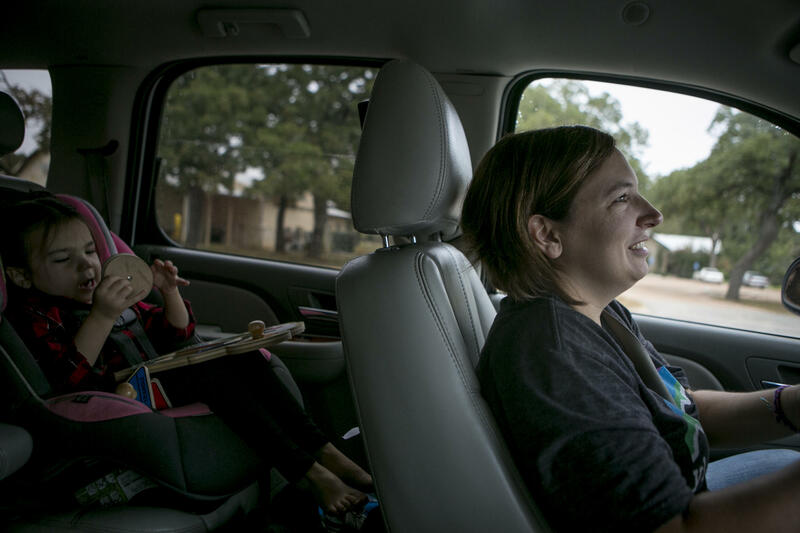 That day, Marley and her parents were traveling from their home in Fredericksburg to the San Antonio Lighthouse for the Blind’s low-vision rehab clinic to learn how to use an assistive device called an Optelec ClearReader. 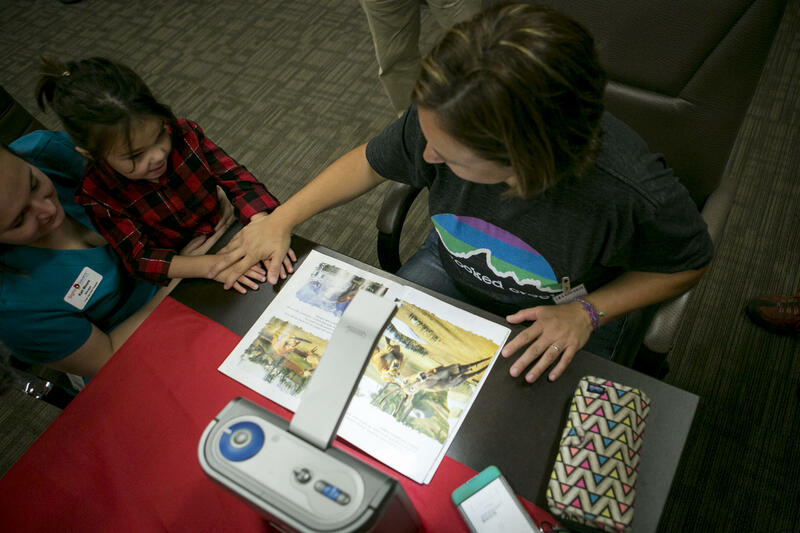 At the clinic, Kati Moore, manager of the I Can See Now Program of Sight Savers America, taught Marley and her parents how to use it. Dr. Stephanie Schmiedecke, director of the vision rehabilitation center, gave Crystal some other tips on how to help Marley cope with her weak vision. Like tips on which pencils to send with her to school. “Are they doing No. 1 pencils with her instead of No. 2? Because No. 1 are darker,” Dr. Schmiedecke asked. “Oh, I bet they aren’t,” said Crystal. “My albinism patients, they need really high contrast, so they use No. 1 pencils instead of No. 2." Marley squints at her parents' smartphone after leaving her eye appointment in San Antonio. 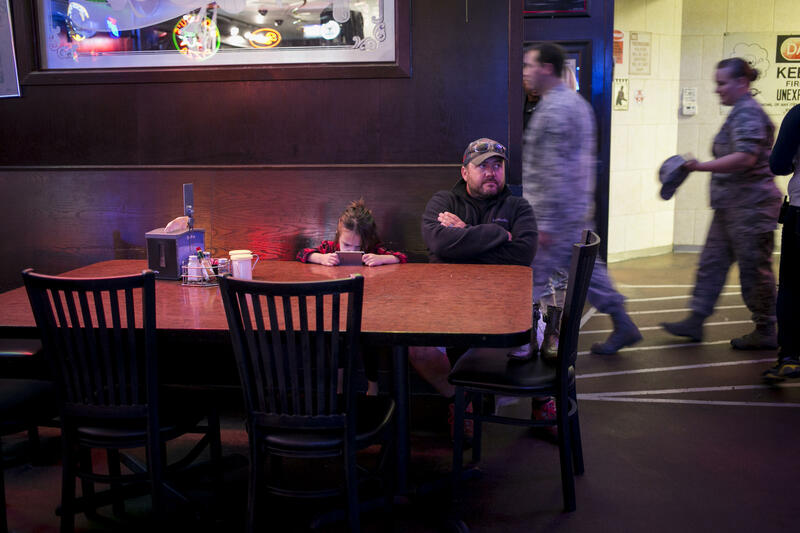 The family went out to a pizza restaurant after the appointment. 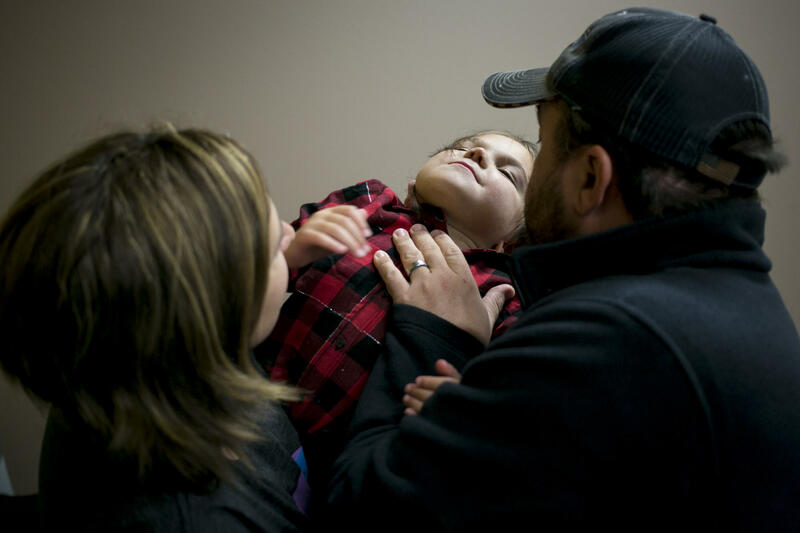 Few people in the world have heard of Marley’s genetic disorder, a form of dwarfism. “A genetic disorder that essentially results in the body’s inability to synthesize plasmalogens.” That's how Dr. Michael Bober, a pediatric geneticist in Wilmington, Del., explains RCDP. Only around 100 children worldwide at any given time are living with RCDP. Plasmalogens are phospholipids present in all areas of the body. While there's not much research on what plasmalogens actually do, what is evident is what happens when plasmalogen levels in the body are low. In RCDP children in particular, low plasmalogen levels in the eyes and bones will determine how severely RCDP affects their bodies. Early next year, a medical team will begin a trial to study children living with this genetic disorder. “Obviously when you’re trying to develop drugs for rare disorders, it’s extremely challenging,” Bober said. While he's not participating in the trial, Dr. Bober will have a preclinical trial in the first quarter of next year. First he will evaluate the children, measuring things like how they grow, eye function, neurologic function – all the areas where this medical therapy might help. 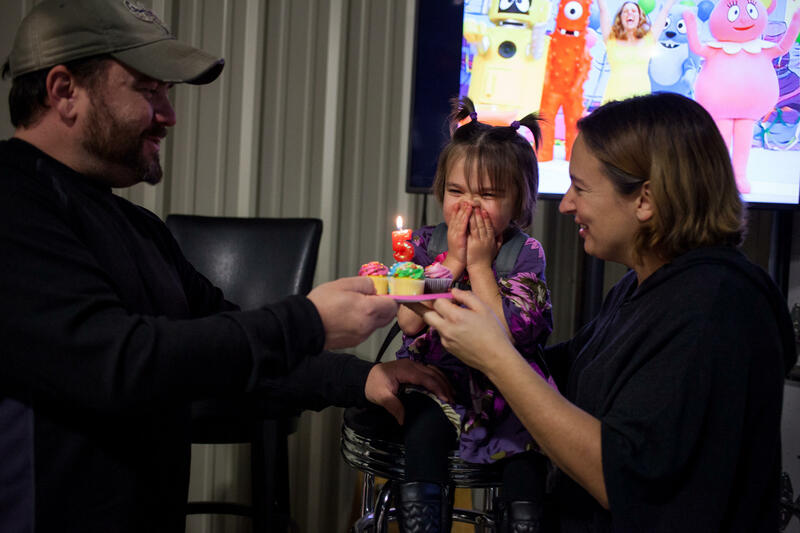 Marley has broken the mold repeatedly; most children RCDP do not make it past their first year, but Marley and her parents were able to celebrate her fifth birthday. Among children with RCDP, Marley has a milder form. She has a higher plasmalogen count, so she is taller than other kids her age with the disorder. She also has better cognitive development. Crystal says that as hard as it is for her to raise a child with RCDP, it must be even harder for the families in other countries. “For these international families, being able to connect online and through the RCDP Facebook group…most of them don’t have the resources to come to the conference, for us to be able to Skype or to talk through Facebook – it’s absolutely life-changing,” Crystal said. The treatment being developed could help these kids in a lot of ways, like by improving their lung function. Most often they die from a respiratory disease. For Marley, Crystal hopes the treatment would halt her vision loss. And for other children, and families, she hopes increasing awareness will result in more research, and better treatments. “We have kids that are dying, and no one has any idea. It’s like you’re screaming in a crowded room, and no one is turning around,” she said. Crystal understands why so few people have heard about RCDP, because of how extremely rare it is. But it's important to know about it, she said, because anyone could be a carrier. "Everyone has mutated genes," Crystal said. "Essentially everyone walking around has the same chance of having a kid with a rare, genetic disease. But rare diseases are only a factor when you procreate with someone with the same mutation. Otherwise, you would never even know you were a carrier." *The story has been updated for factual consistency. Originally we said that "fewer than 100 children had been diagnosed with the disorder", while actually, the statistic says that at any given time worldwide, about 100 children are living with the disorder.